The White House’s immediate response to the so-called Regulation Law was to refer to its statement last week that said the construction of new settlements “may not be helpful” in achieving an Israeli-Palestinian peace. 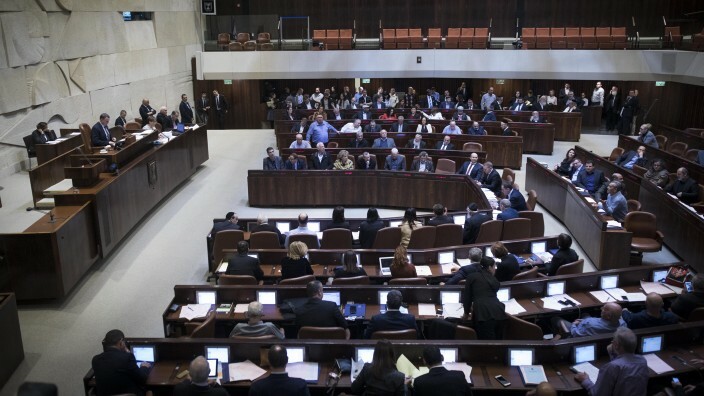 The vote on the bill passed 60-52 in a late-night session in the Knesset following a raucous debate in which opposition lawmakers shouted from their seats at governing coalition lawmakers speaking in favor of the vote from the dais. Some legislators supportive of the law took pictures of the plenum during the vote while some spectators in visitors’ seats raised black cloth in apparent protest. The law has been condemned by the previous US administration of Barack Obama, the European Union, the United Nations and Israel’s own attorney general, Avichai Mandelblit, who has warned that it marks the first time Israeli legislation explicitly affirms government support for the settlements, and would openly curtail property rights of Palestinians in the West Bank in a way that contravenes the protections granted to occupied populations under the Fourth Geneva Convention. Mandelblit has said he would not defend the law before the Supreme Court, which could still trash it. 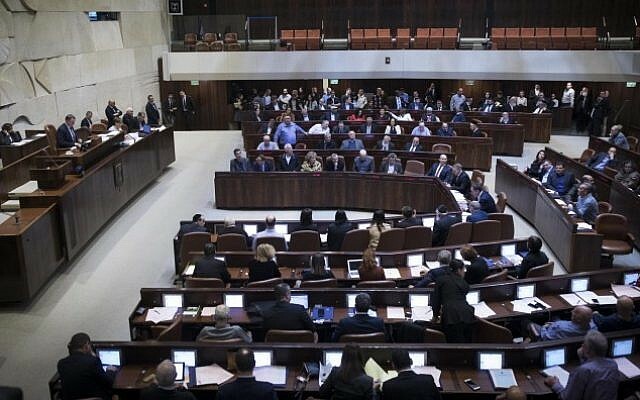 Among the law’s problematic elements is that the West Bank is not sovereign Israeli territory and that Palestinians who live there are not citizens and do not have the right to vote for the government that imposed the law on them. The State Department official added that Washington was still hoping for a peace deal but understands that the Israeli law will face challenges in the country’s own judicial system. 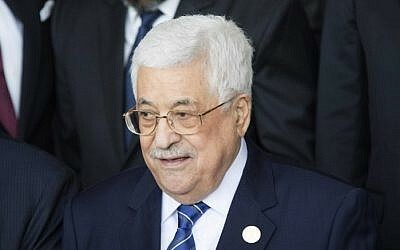 “Among other reasons, this is the first time since 1967 that Israeli civil law is being applied directly to the West Bank, and that Israel’s attorney general has stated publicly that he will not defend it in court,” he said. The Palestinians condemned the law, calling it an attempt to “legalize theft” of Palestinian land. “This is an escalation that would only lead to more instability and chaos. It is unacceptable. 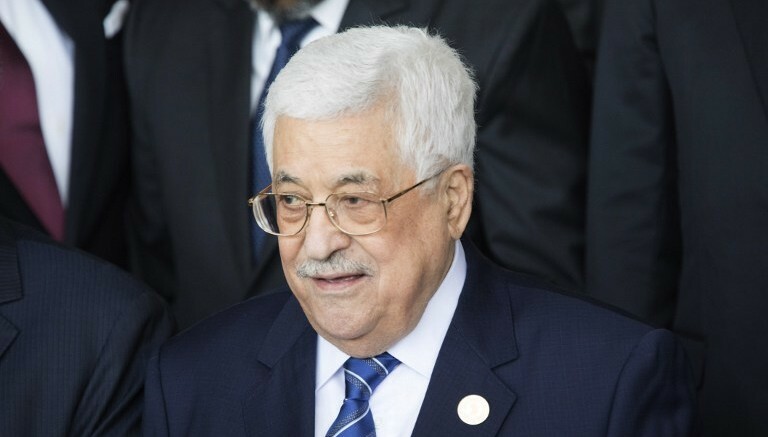 It is denounced and the international community should act immediately,” said Nabil Abu Rdeneh, a spokesman for Palestinian Authority President Mahmoud Abbas. But the US official tried to dissuade the Palestinians or their supporters from challenging the law themselves before the international community. “We are concerned that other actors have said they may seek to challenge this measure in multilateral fora, including at the International Criminal Court,” he said. “We continue to strongly oppose actions against Israel at the ICC as counterproductive to the cause of peace,” the official said. The explosive law is the latest in a series of steps that advance Israeli settlement activity since the election of Donald Trump as US president. 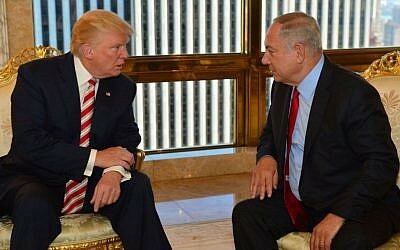 Trump has signaled a far more accepting approach to settlements, raising hopes in Netanyahu’s government that it will be able to step up construction. 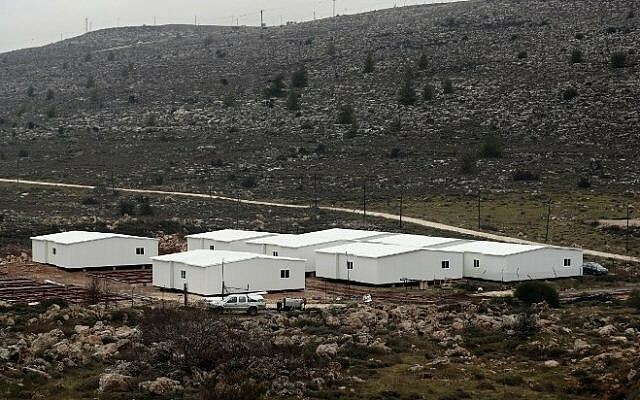 The White House said little as Prime Minister Benjamin Netanyahu announced plans during Trump’s first two weeks in office to build some 6,000 housing units in the West Bank and East Jerusalem. But after Netanyahu announced his plan to establish a new settlement for the first time in two decades, following the evacuation last week of the illegal outpost of Amona, Trump indicated that he, too, might have his limits. 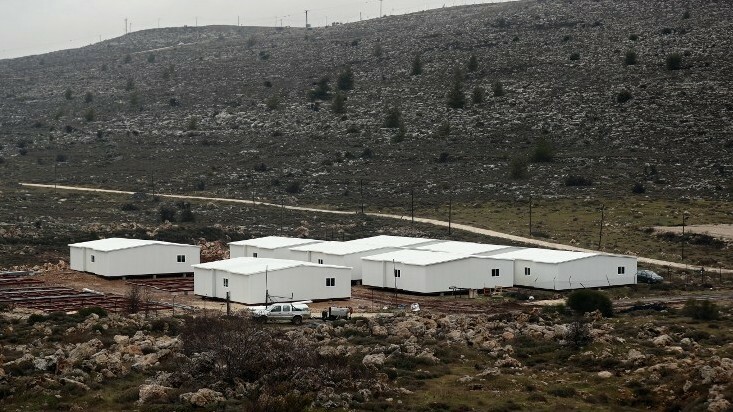 “While we don’t believe the existence of settlements is an impediment to peace, the construction of new settlements or the expansion of existing settlements beyond their current borders may not be helpful in achieving that goal,” the White House said last week. 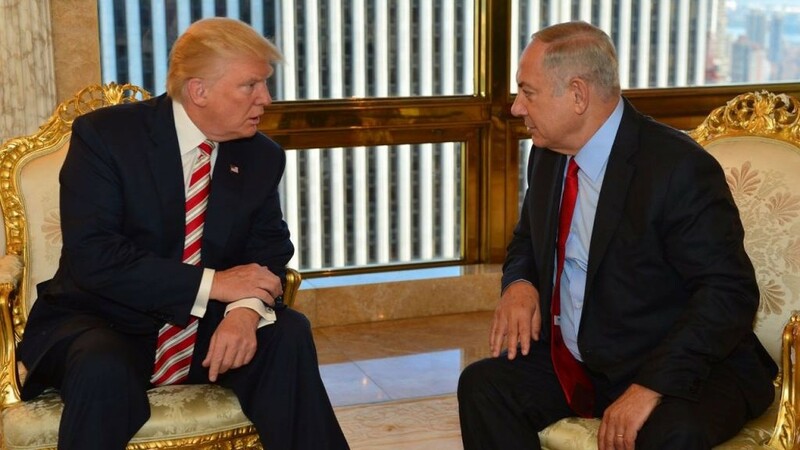 Netanyahu and Trump are set to meet in Washington next week.